If the sword-wielding, man-killing, queen-following Amazons of Greek mythology ever existed, they taught bees everything they know. 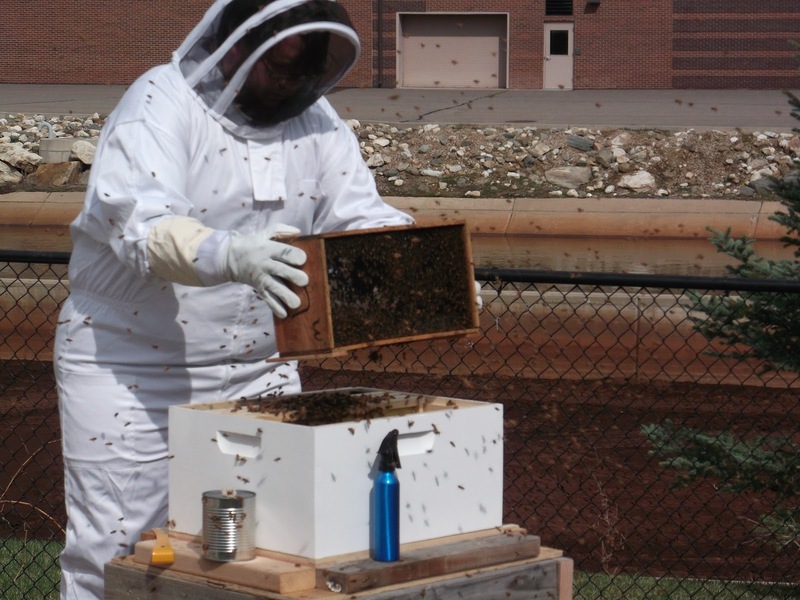 Bees live in an extremist matriarchal society. 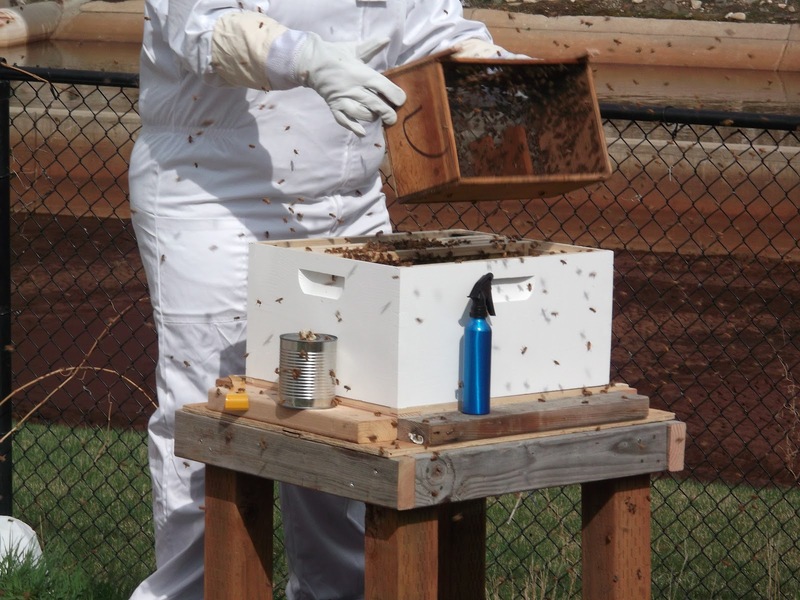 Female worker bees under the guidance of the queen gather pollen, pull out comb, make honey, and fight to the death to defend their home while male drones stay home, take care of the babies, and when necessary, follow the queen several miles into the air only to mate with her and die. As far as bees are concerned, being female is the greatest thing that could ever happen. It’s a good thing these tiny Amazons don’t mind the occasional invasion as much as their Greek ancestors, because honey is delicious and bees are an inexpensive, low-maintenance introduction to animal husbandry before you’re quite ready to realize your dream of having a small-scale farm where you and yours can live out the frontier dream. 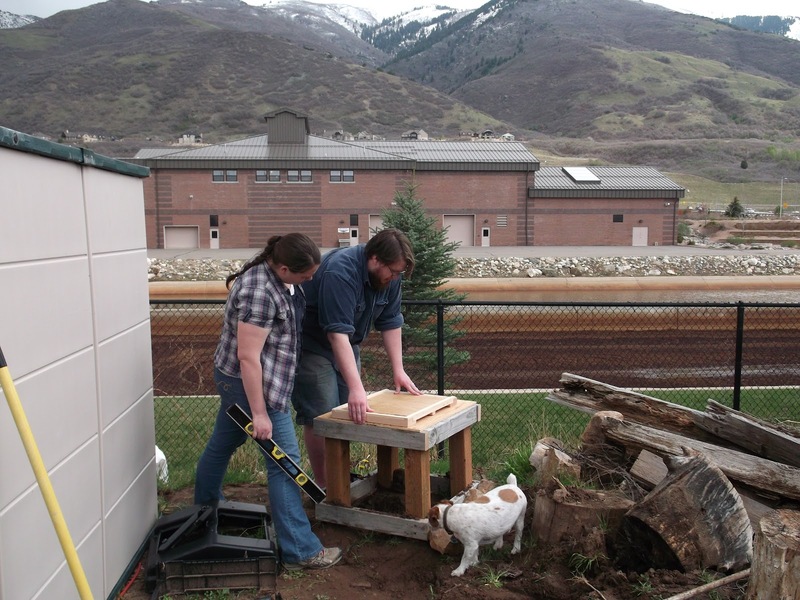 We were inspired to get a hive of our own when Gordon’s parents found a wild hive living in a trunk under the cabin last summer. 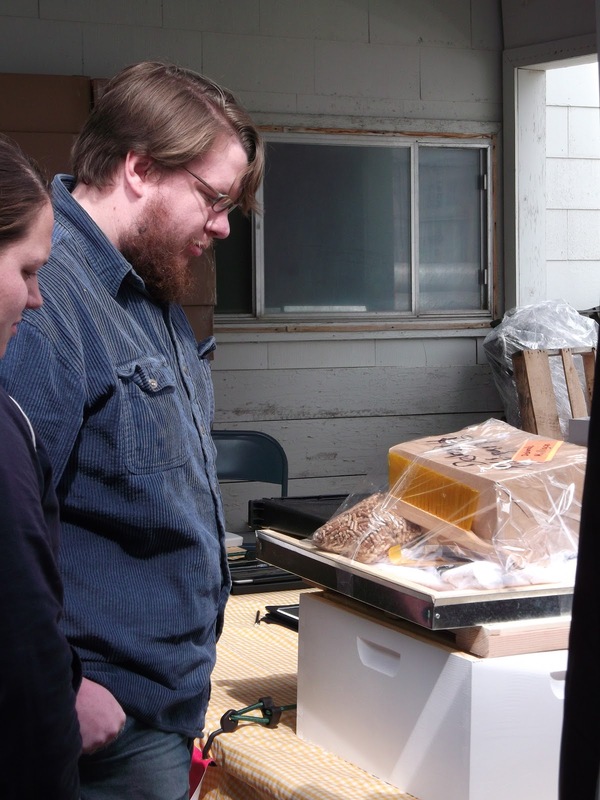 Watching a local beekeeper pull out the frames, find the queen, and box up the bees to take them home was so interesting that we started researching the process of getting our own. Turns out it’s really easy. 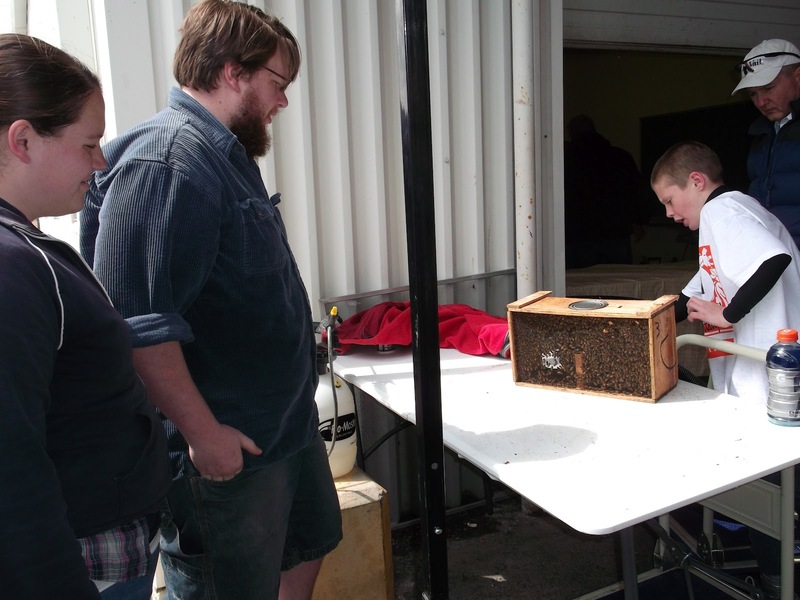 We found a beehive supply store nearby and ordered 3,000 bees, a queen, two deep boxes, a smoker and pellets, a bee suit, and hive and uncapping tools. 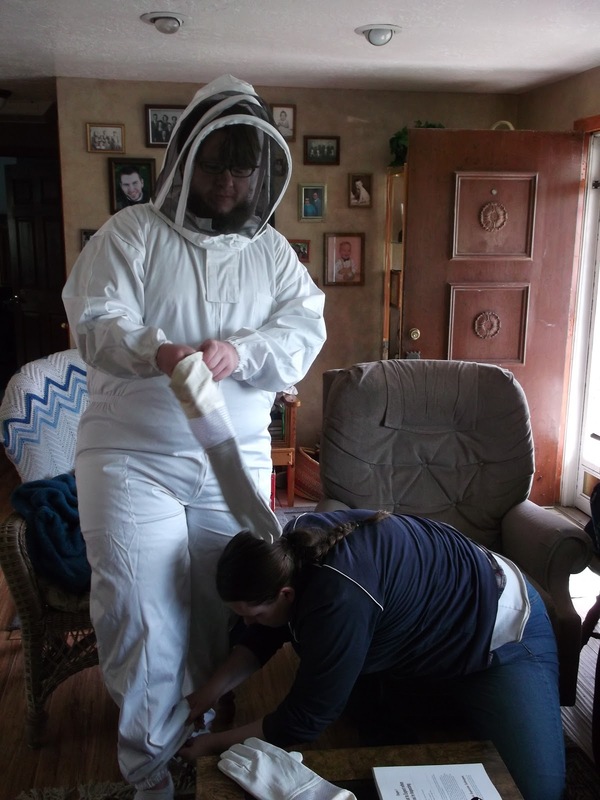 Most beekeeping suppliers have a starter kit that comes with everything you need to get started and since beekeepers are some of the friendliest people I’ve met, we didn’t have any trouble getting help with our questions and concerns. 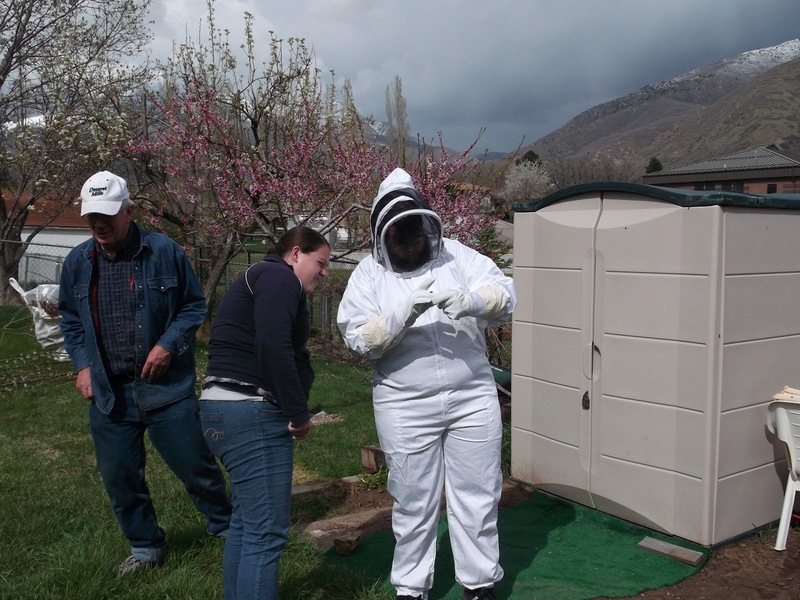 April is usually the month of choice for setting up a new hive because the weather is warm enough to give the bees a fighting chance and they still have enough spring and summer ahead of them to make plenty of honey to survive the winter. 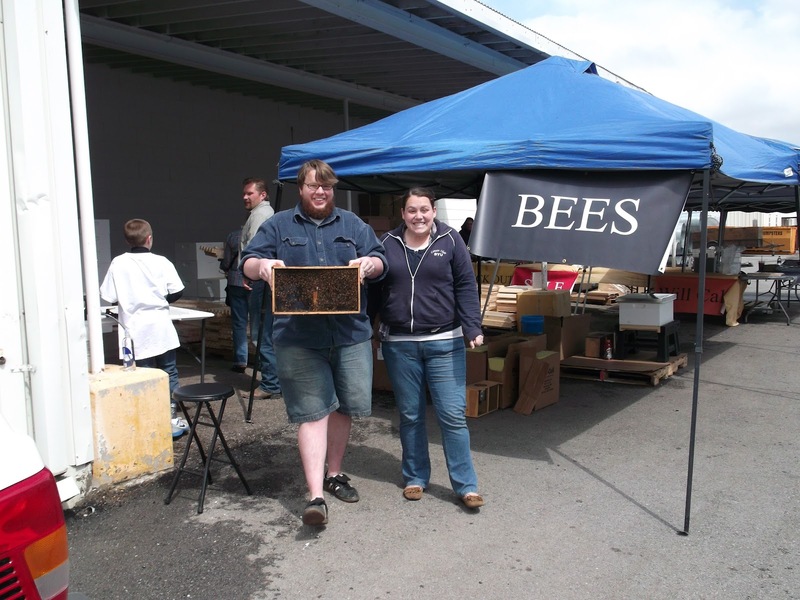 In the month and a half between placing our order and picking up our bees we bought a copy of Beekeeping For Dummies and dreamed about fresh honey and farmer’s markets. 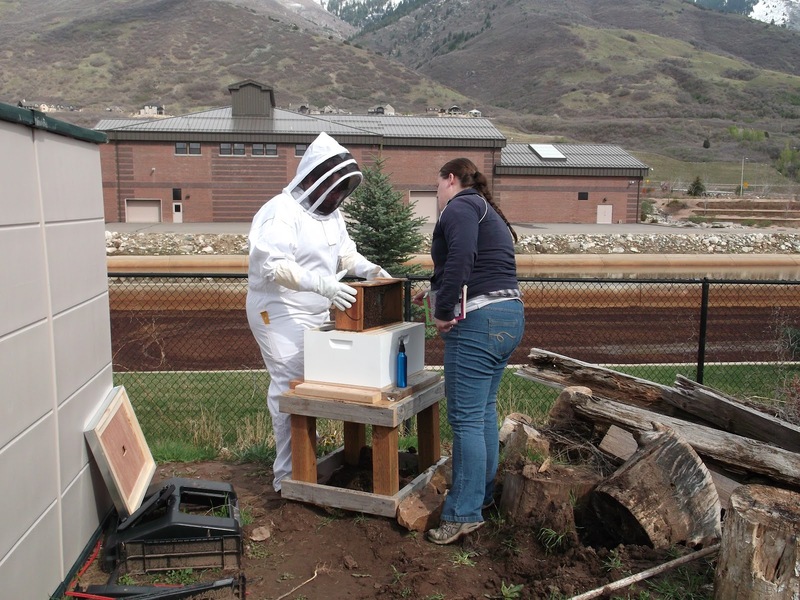 April came, and we became beekeepers. This now gives us bragging rights in conversations about hobbies. And they’re in! 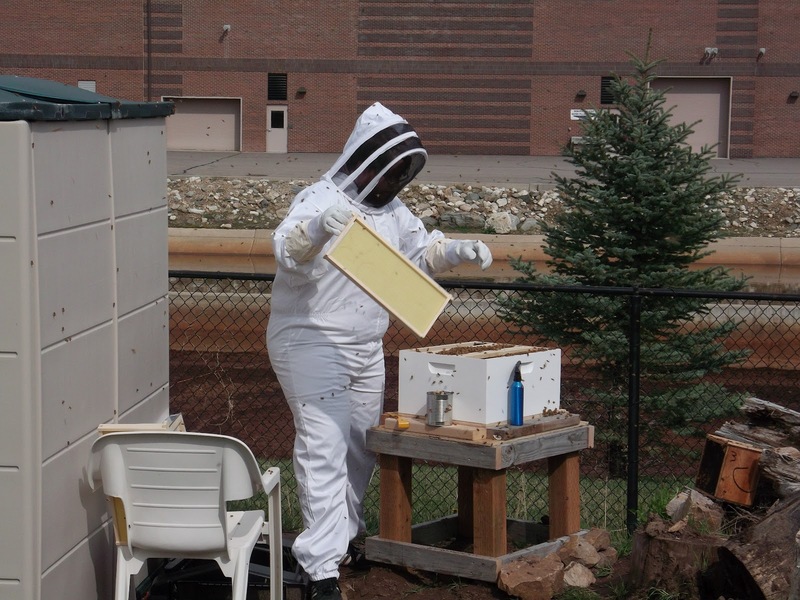 We put the hive in my in-laws backyard (since we live in an apartment) facing a water treatment plant that has gardens and flowers that should be a good source of food. 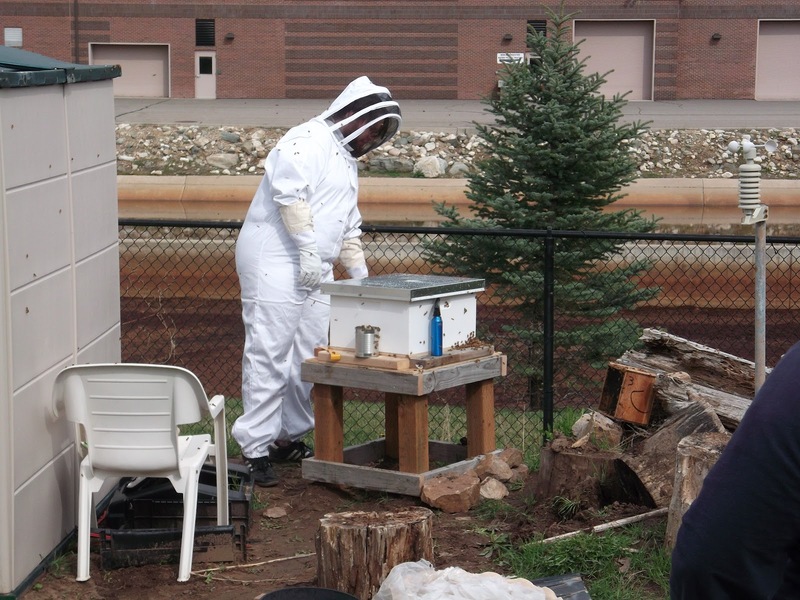 In the next few weeks we’ll replenish the sugar water in the feeding box and inspect the hive to make sure the queen is alive and producing brood and the bees are eating well and pulling out comb.